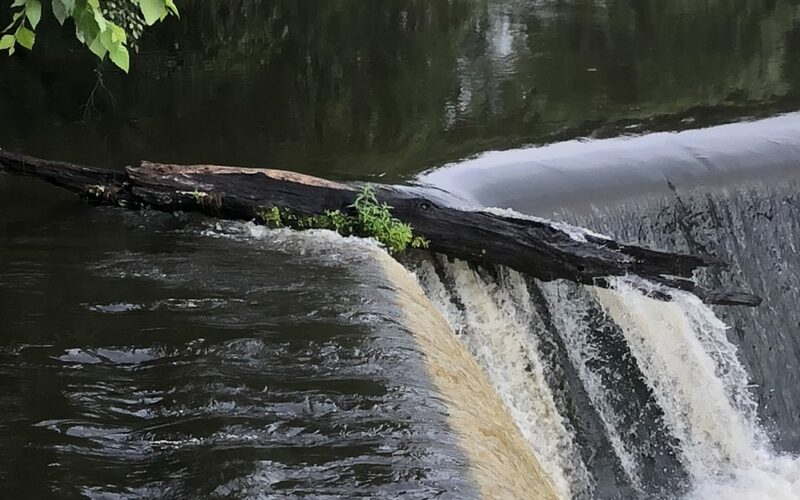 On my walk this morning I noticed a log that had gotten wedged over the edge of the falls. There it sat, helpless, a shadow of its old strong self. A victim of circumstance beyond its control. I looked closer. The water was flowing in and around it, making it a lovely fountain. And evidently it was a great environment for growth, as plants had sprung up from its bark. It certainly was not going to stay there forever, but for now it was a living, vital part of its environment. All I could think of was “go with the flow”. How often do we find ourselves stuck in situations not of our own doing, bemoaning our fate? We fall into the victim mode, focusing on what was or what could have been. We are unable to recognize the opportunities of the present moment. We are not able to recognize that we always have a choice on how we perceive a situation. Going with the flow means you have adapted the philosophy of living life in the moment. It’s recognizing where you are at this moment, and what you can do with the situation. What gifts/talents/wisdom/insight/physical attributes can you utilize in this situation? What can you bring to the party? It’s wise to take a second look at situations, trying to see it from all perspectives. When I first saw that log, I had that initial reaction that something was wrong. How can we get it out of that jam? Upon further reflection, I was able to look at it differently. It was then that I noticed the beautiful symbiotic relationship that had occurred. I would even guess some ducks had feasted on it at some point. My own real-life giving tree. If this was a person that I saw, wedged in a situation I thought looked uncomfortable, I would feel sorry for them and probably try to find a way to help. That’s my stuff. Maybe they were perfectly content. Or even if they were not, my reaction is on me, not a reflection of them. On the other hand, when it is always within our power to choose how we react to a situation in which we find ourselves. Will we choose to be a victim, a powerless pawn of our circumstance? Or will we choose to be present and understand what we have to learn from or give to the moment? True power comes from reaching internally to address that which is happening externally. Life is all about choices. Go with the flow.